Knox County (pop. 39,736) is one of nine Knox counties – all named for Henry Knox (1750-1806), the first U.S. secretary of war. The coast and islands of Knox County have been popular as summer homes for wealthy residents of the Northeast for more than a century. The county seat of Knox County is Rockland (pop. 7,297). The Maine State Ferry Service operates ferries from Rockland to the islands of Vinalhaven, North Haven, and Matinicus. Rockland hosts the Maine Lobster Festival every August; this year was the 66th festival. The special “Lobster City Express” runs during the festival. Artist Andrew Wyeth (1917-2009) made his summer home in the town of Cushing (pop. 1,534). His paintings of the Olson House in Cushing include “Christina’s World” (1948). The house is now open as a museum. Knox County’s many scenic lighthouses include Owls Head Light, built in 1826. 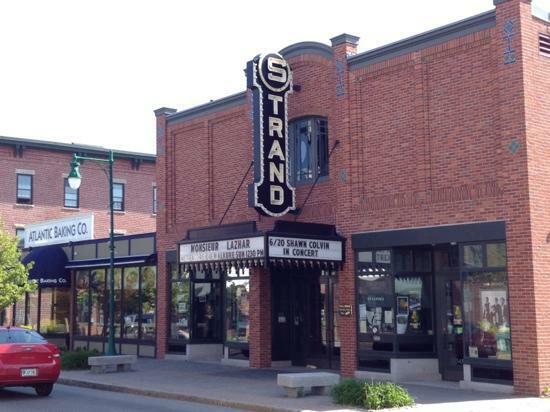 The Maine State Prison Showroom in Thomaston (pop. 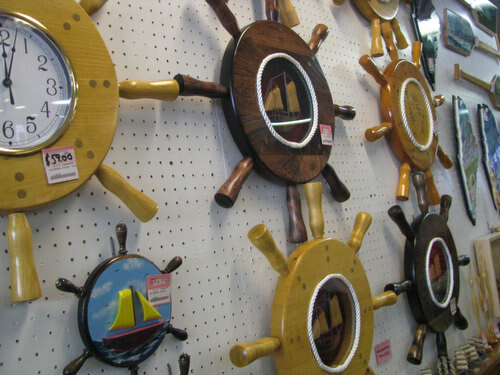 2,781) sells a variety of items made by inmates in the state’s prisons. 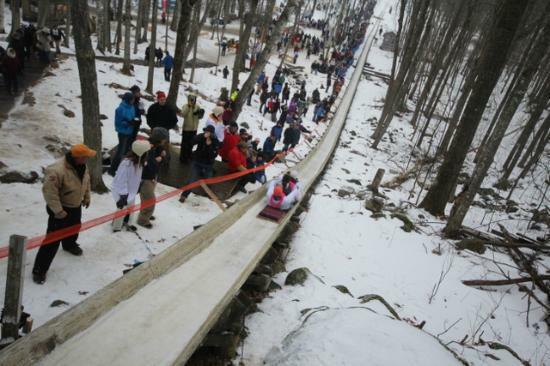 The U.S. National Toboggan Championships are held annually in Camden (pop. 4,850). The 400-foot chute ends on a frozen pond. In the town of Rockport (pop. 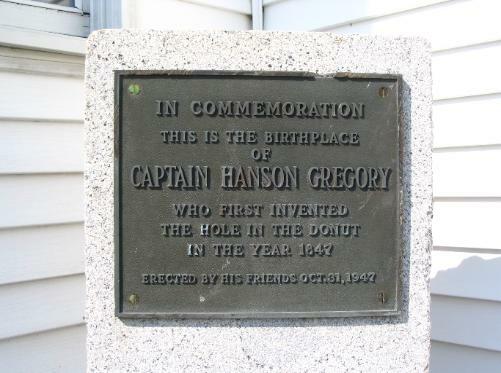 3,330), a small monument commemorates the birthplace of the inventor of the doughnut hole. Margaret Wise Brown (1910-1952), author of many books for children, had a home on Vinalhaven Island. 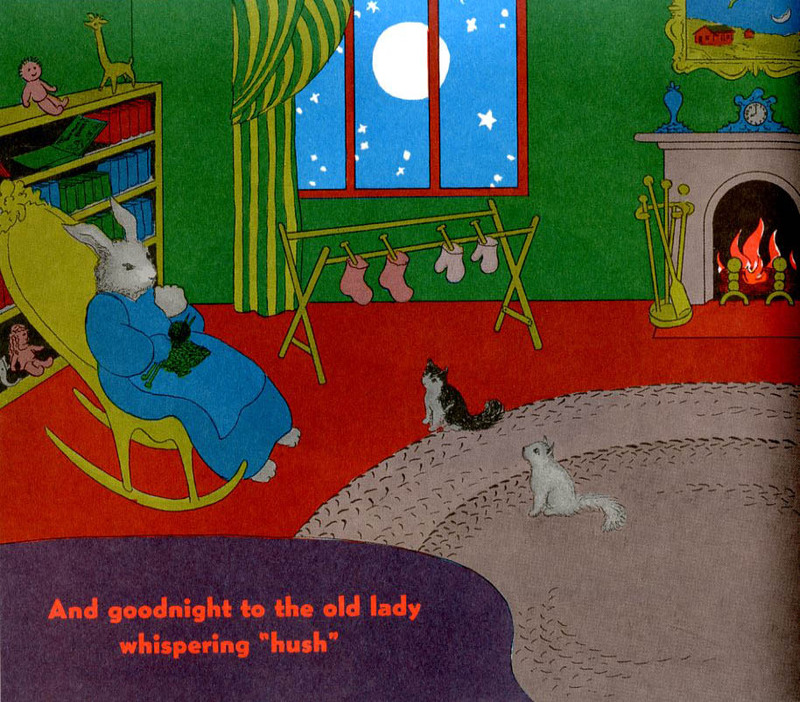 She published “Goodnight Moon” in 1947. 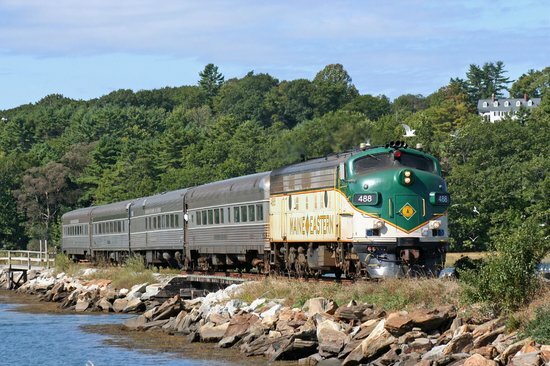 This entry was posted in Maine and tagged Knox County, Maine Eastern Railroad, Maine Lobster Festival, Maine State Prison Showroom, Margaret Wise Brown, Owls Head Light. The person who invented the donut hole deserves a plaque, if anyone does. I like the lobster float. It would be great to see all those lighthouses.